Who would have thought deep in the jungles of Papua New Guinea and Madagascar grew the perfect ingredient to build an extraordinary Porter in Colorado? An ale that has all the chocolate and roasted nut flavor of a classic Porter, with an enigmatic surprise thrown in for good measure, real vanilla bean. 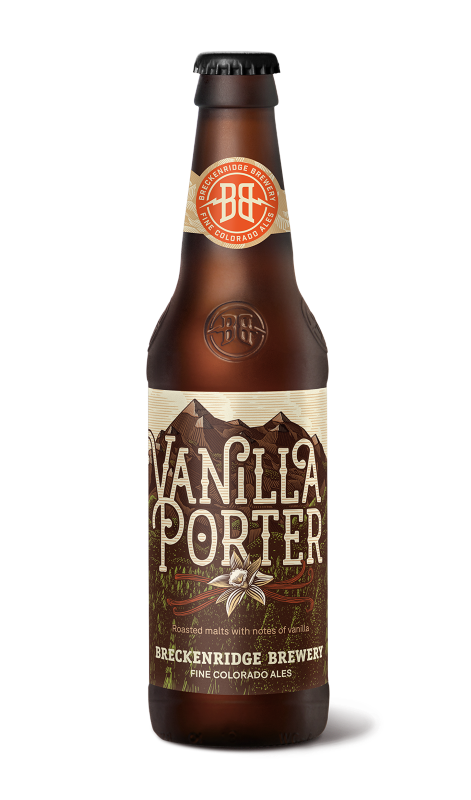 Breckenridge Brewery’s Vanilla Porter. A vanilla kiss in a rich, dark sea. Yeast: Top Fermenting Ale Yeast Malts: Two Row Pale, Caramel, Chocolate, Black, Roasted Barley Hops: Chinook, Tettinang, Perle, Goulding Vanilla: Real vanilla beans from Paupau New Guinea and Madagascar.